Today.Az - Which challenges should be taken into account in LNG market? 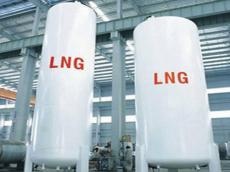 The demand for liquefied natural gas (LNG) is expected to outpace the supply growth after 2025, the leading data and analytics company GlobalData told Trend. "The number of LNG importing countries has increased from 13 in 2003 to 40 in 2018. Traditionally the main poles of LNG demand are concentrated in Asia and Europe, in particular Japan, South Korea and China are the largest demand drivers in the region. In 2017, Japan imported an average of 10.2 billiob cubic foot per day (bcfd) of LNG, followed by China with an average of 4.54 bcfd and South Korea with an average of 4.52 bcfd," said GlobalData. According to BP’s lasts energy outlook the main LNG demand growth is expected to come from Asia, increasing regional demand from 23 bcfd in 2017 to 30 bcfd in 2020, and Europe from 5 bcfd in 2017 to 10 bcfd by 2020. "In this scenario the expectation is for the planned supply capacity worldwide to be more than enough to satisfy the demand by 2020 and the following years. However, there is also an expectation among LNG analysts and forecasters for the demand to outpace supply growth after 2025 if other approved LNG projects are not sanctioned in time," said the company. GlobalData believes that because of this eventual mismatch in future supply and demand there is uncertainty on whether flexible or spot contract should increase their current 25 percent share in the LNG trade. "In a scenario where the US will be needing to market approximately 9 bcfd by 2020, the sustained LNG demand in Europe, Asia and even South America will be a favorable driver. Planned and announced US LNG supply capacity will have a fundamental influence by increasing the competitiveness of the LNG world trade and ultimately affecting spot prices worldwide, also supporting continuous LNG demand growth," said the company. To avoid a scenario of insufficient supply new LNG plants would have to be sanctioned over the next two to three years, according to GlobalData. "Nonetheless a preference from buyers for flexible or spot contracts has also been established, challenging LNG developers that still require relatively high prices and long term contracts to secure financing and generate a return on their investment." In the short term other challenges have to be taken into account, said the company. "For instance China has formally announced a 10 percent tariff to LNG imports from the US. Also the LNG shipping market is looking tight with rates reaching $100,000 per day, due in part to higher transport demand which is in part driven by the increased cargoes from the US. Nonetheless the cheap US natural gas prices give enough room to allow some increase in shipping cost and volatility in landed prices."